You have been given a frightening diagnosis. You have skin cancer that is affecting your face and scalp. It may not be the first time that you have been affected by this dreaded disease. You want to get a handle on it as soon as possible. No one wants to live with cancer inside of them, especially when it is in such a visible place. 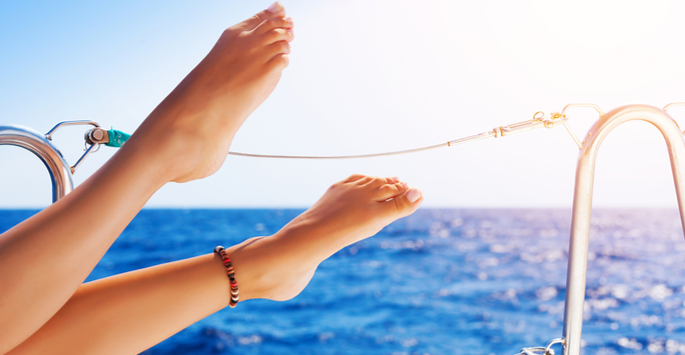 Mohs surgery may be the best alternative to you to effectively treat skin cancer. It will give you the opportunity to take control of what is happening with your body and give yourself a better opportunity to avoid another bout of skin cancer in the future. Is Mohs Surgery the Best Option for You? Mohs surgery is typically recommended for patients who have skin cancer on the face, neck, and scalp. It is often advised when other methods have failed to effectively treat skin cancer. The first step involves targeting the area to be treated. The area to be treated is numbed with a local anesthetic. The top layer of skin is then removed and tested for the presence of skin cancer. The process will continue, layer by layer, until no more cancer cells are detected. You will know on that day that you are considered cancer-free. Once all cancer has been removed, the wound will need to be closed. If it is a small, simple wound, it can be stitched or sutured. If it is more involved, a skin graft or reconstructive surgery from a plastic surgeon may be necessary. Mohs surgery can give you peace of mind. You will leave with the reassurance that your skin cancer has been removed. You will also be less likely to have skin cancer strike in this area again after Mohs. Another reason to choose Mohs is to reduce the risk of your cancer spreading from the area. The last thing you want is to risk your skin cancer progressing. You don’t want to be disfigured by skin cancer in a visible area like your scalp, your nose, your ears, your neck, or your face. Skin cancer needs to be treated effectively in order to avoid the spread of cancer to other areas of your body, including your organs. Mohs surgery may be advised as the first response to skin cancer or it may be recommended after less invasive treatments have not been effective. Every patient is unique. How you respond to treatment will vary from someone else. Your treatment will also depend on the type of skin cancer that you have. Make an appointment for a consultation with Torrey Pines Dermatology so you can explore your options. We will work together to create a treatment plan that will help you to deal with the cancer in your body. Contact us today! There are a lot of treatments out there that can help an individual to restore their youthful appearance. One of the most effective on the market today is BOTOX. It can help to smooth out your skin and get rid of dynamic wrinkles. We invite you to learn how you can turn back the clock with BOTOX in the La Jolla. In order for you to understand why BOTOX can help you turn back the clock, you need to understand why you have wrinkles on your face. Wrinkles are the result of the changes that take place as you get older. 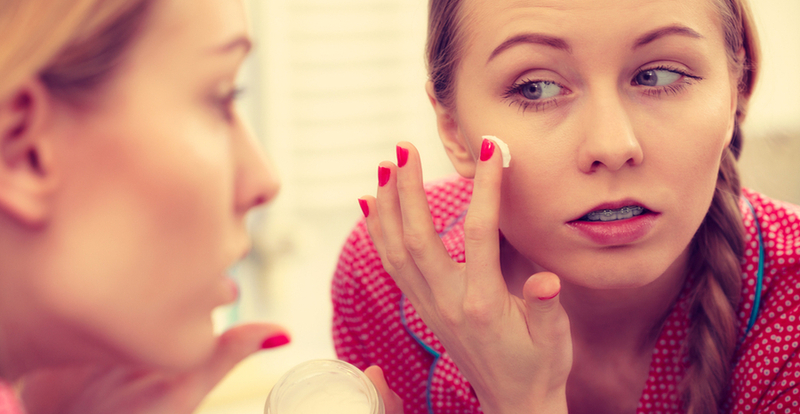 For one thing, your skin starts to get thinner because it is no longer producing the same amount of elastin, collagen, and other healthy substances. You also start to lose the facial volume. When your skin is thinner and does not have as much volume, the muscle contractions underneath the skin are telegraphed through. As these muscle contractions take place hundreds of times throughout the day, it has a negative effect on your skin. It causes the skin to fold. All of these things contribute to wrinkles, both static and dynamic. BOTOX is not a dermal filler. Dermal fillers are designed to help individuals who have wrinkles because of the loss of facial volume. They are directly injected into wrinkles in order to add volume and smooth the skin. BOTOX actually helps to relax the facial muscles. And since the facial muscles cannot contract with the same force as before, the skin is able to smooth out. When an individual uses BOTOX for the first time, they may feel a little bit of apprehension. One of the reasons why they may feel this way is because they are nervous about not being able to make normal facial expressions. You do not have to worry about this at all. Our expert injectors are able to use just the right amount of BOTOX in just the right muscles in order for you to smooth away your wrinkles but to still make natural facial expressions. You are not going to be left with a face that looks frozen or does not have the ability to smile, frown, or to make other expressive movements. We invite you to our La Jolla office in order to learn more about BOTOX and to see how it can turn back the clock for you. If you feel frustrated because of the dynamic wrinkles on your face, a couple of injections of BOTOX may be all that is needed to help you love the way you look and restore some of your youth. Please contact Torrey Pines Dermatology today to learn more about this amazing treatment. With Ultherapy technology and the PRO-NOX nitrous oxide delivery system, we can gently tone and tighten loose skin while effectively managing discomfort. 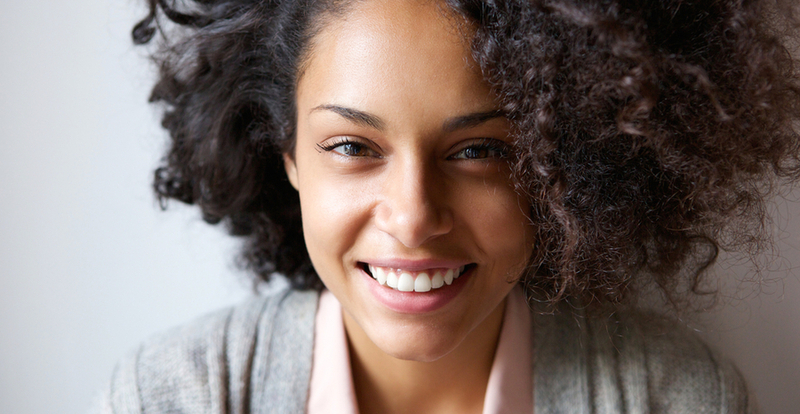 Our team understands that some patients avoid cosmetic treatments because they are nervous about soreness and irritation, and that is why we are proud to offer an advanced nitrous oxide system that is both safe and effective. Ultrasound machines are used thousands of times a day in hospitals and medical centers throughout the world. These devices usually take digital images of the inside of the body, but a handful of researchers discovered that ultrasonic waves might have other uses as well. When ultrasonic waves are set to a specific frequency, they can stimulate new collagen growth. This procedure doesn’t affect any of the nearby soft tissue, and that is one of the reasons why the side effects are so minimal. Most patients walk out of our office with nothing more than some redness around their treatment sites. Ultherapy is considered to be non-surgical, but some patients are still sensitive to discomfort. PRO-NOX is a patient-controlled analgesic system for outpatient treatments such as Ultherapy. Unlike general anesthetics that leave you feeling groggy for hours, the effects of PRO-NOX fade away quickly. In addition to reducing discomfort, this technology also puts you at ease. Many patients avoid cosmetic treatments because of nervousness, and PRO-NOX helps to alleviate those fears. You will be able to respond to any discomfort or anxiety that you are feeling in a matter of seconds. To learn more, contact Torrey Pines Dermatology today to schedule an appointment! San Diego is a trendy city. Its residents are concerned with the way they look, how they dress, and the way that they carry themselves. People want to lose weight for two reasons. On the one hand, they want to feel healthier. On the other hand, they want to look better. Diet and exercise can help a person feel better and can help them look better by encouraging weight loss. What diet and exercise cannot do is pinpoint where a person will lose fat. This means that a person can lose a lot of weight and still have fat in troublesome areas like their midsection. SculpSure is a treatment that is designed to help target the fat in those troublesome areas and make the fat disappear permanently. If you have gone through the strenuous process of dieting and exercising, you know how hard getting rid of fat from your midsection can be. It seems like fat just wants to hold onto your midsection. This can be discouraging because even though you diet and even though you go to the gym, you’re not getting the results you had hoped for. You don’t have that flat stomach that you see in all the magazines, on TV, and on the Internet. Losing weight naturally is important. However, SculpSure gives your natural weight loss the extra boost it needs. It makes the stubborn fat that makes you look heavy even though you’ve lost weight disappear. Interestingly, the problems that you currently have with fat around your midsection are the same problems that most people who are trying to get in shape have. Our bodies hold onto fat in the midsection for a couple of reasons. One is age, and the other is a genetic predisposition. As you hit your 40s, your body starts to slow down. Your metabolism slows down. Your body starts to hold onto fat and store it around your midsection. Diet and exercise will do very little to combat a slowed metabolism, aging, and genetics. SculpSure, on the other hand, is a pinpointed treatment that attacks unwanted fat and banishes it forever. SculpSure is not designed to replace diet and exercise. You will still need to go to your San Diego gym and take walks on the beach in order to lose weight. 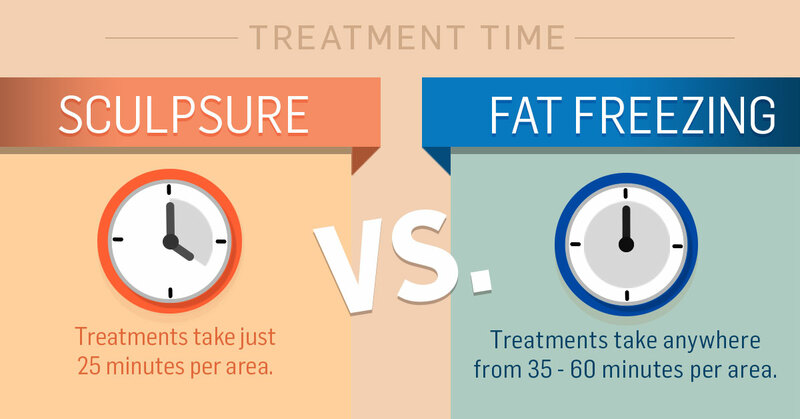 In fact, in order for SculpSure to work, you already need to be at your target weight or close to it. Diet and exercise take the fat cells that you have and make them smaller. That’s why you lose weight. SculpSure destroys unwanted fat cells. That’s why you lose fat in targeted areas. Diet and exercise are still important to maintain overall health and an overall healthy weight. It can be difficult to go through all of the trouble of diet and exercising and still not getting the results you want. If you’re struggling with pockets of fat that won’t go away, don’t give up. Look slim and feel slim with SculpSure in San Diego. Contact Torrey Pines Dermatology in La Jolla today to schedule an appointment! One of the main things that individuals are interested in when it comes to cosmetic treatments is getting results that look natural. Very few people want results that cause them to experience a dramatic change that everyone will notice. Instead, most want results that are subtle. If this is something you are interested in, we invite you to learn about Ultherapy at Torrey Pines Dermatology. San Diego residents are warmly invited to contact us and schedule a free consultation. The first thing that you should know about Ultherapy is that it is not a surgical treatment. You do not have to worry about incisions, injections, or anything else that is going to cause your skin to feel irritated or to be damaged. This is a treatment that is based on ultrasound therapy. It is the only treatment that is able to target the deep foundations of the skin. It helps to tone and lift sagging and loose skin on the face and neck. While it does not produce results as dramatic as a facelift, you can definitely receive some of the benefits that come with the facelift but without going through surgery. Ultrasound therapy is used to stimulate the body’s production of collagen. As the new collagen is produced thanks to Ultherapy, the skin is going to start to lift and become more toned in the weeks that follow the treatment. Men in the San Diego area are invited to learn more about Ultherapy. Over the weeks that follow his treatment, he is going to notice that his skin starts to look younger. Of course, women are warmly invited to contact us as well. How do you know if you are a good candidate for Ultherapy? Take a look at your skin. Do you feel like it is starting to relax? Perhaps it is not as firm as it used to be. You may notice that you have some sagging, perhaps around your eyelids or along your eyebrow line. If you have any of these signs of aging, Ultherapy may be right for you. We find that the majority of our clients are in their 30s and older. They are starting to experience some mild skin laxity. Of course, if you have moderate skin laxity, you will likely qualify for treatment. The results that you get with Ultherapy are going to last a long time, perhaps a year or more. However, this treatment does not stop the aging process, so you will need to have touch-up treatments in the future. Please contact Torrey Pines Dermatology today to learn more about this treatment in San Diego. A loss of volume in the face is the number one indicator that a person is getting older. It causes you to have wrinkles and lines as well as sagging skin. Sculptra can help San Diego residents to get back some of their youth and fight the aging process. Sculptra is a long-lasting anti-aging treatment that is helping many individuals in our area to look and feel their best. Sculptra is an injectable that encourages the body to create more collagen. As this collagen is created, a person is going to notice that they have more volume in the area where the product was injected. This means that there will be fewer lines and wrinkles. It means that there will be more lift and volume. And a person will notice that they get back some of their youthful facial contours. How long can you expect your treatment to last? This is something that is important to consider when you start comparing all of the different cosmetic treatments that are available, especially when it comes to dermal fillers. Most individuals who use Sculptra can expect that the treatment will last about two years. However, this is not a treatment that is going to completely stop the aging process. So you may need some touch-up treatments in the future, or you may need to combine these treatments with others to get the best results. Many wonder if this is a treatment that is going to replace BOTOX injections. It is important for our San Diego clients to understand that these products work in different ways. BOTOX is going to treat the muscles that cause dynamic wrinkles. Sculptra is going to help produce more collagen in the areas that are injected, so it will add lift and volume. What we have seen is that when a person uses Sculptra, they do not necessarily need as much BOTOX in order to get the best results. Many have found that when they use BOTOX and Sculptra together, they are able to achieve some of the benefits that come from having a facelift. Of course, they are able to get these amazing results without going through surgery. We invite San Diego residents to schedule a consultation at Torrey Pines Dermatology. One of our experienced specialists is going to closely examine your skin and ask you questions about your overall health. They will listen closely as they ask you about your specific goals. 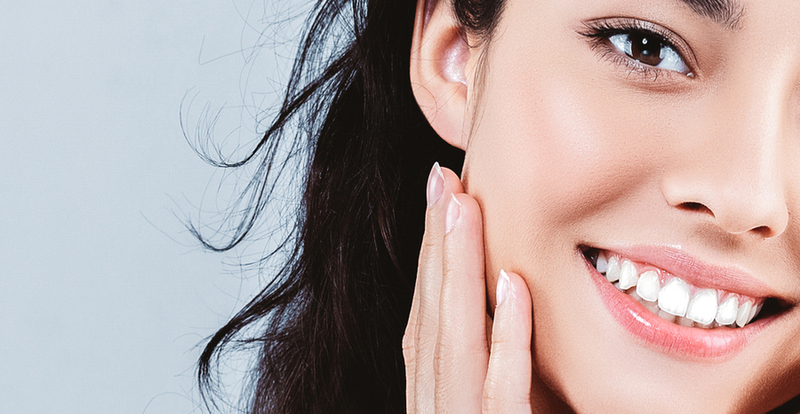 If you would like to improve your cheeks, jawline, and forehead, Sculptra may be the best option for you. We have found that it can help you to restore your entire face to a much more youthful appearance. It will be injected in just the right areas to help you get some of your youth back. Since this is a treatment that stimulates collagen production, you do not have to worry about dealing with negative reactions. You can get right back to work and your normal routine right after the treatment is done. Please contact Torrey Pines Dermatology in La Jolla to learn more about Sculptra and the amazing anti-aging benefits that can provide! Skin problems like scars, wrinkles, hyperpigmentation and poor skin texture are very common, and our patients in San Diego are no exception. Some of our patients desire to see an improvement in their skin but are not aware of some of the latest developments and innovations in the field of cosmetic dermatology. Our experienced cosmetic dermatologist at Torrey Pines Dermatology will be happy to help you on your journey to smooth, better-looking skin in San Diego. Contact us today to learn more! Today’s medical lasers have seen stunning advancements in their sophistication lately that has paid enormous dividends to dermatology patients. The incredible precision offered by laser technology means that only unwanted skin tissue is affected by the treatment, leaving nearby skin tissue intact and greatly speeding healing times. Laser skin resurfacing is safe and effective for the removal of lines, wrinkles, scars, and hyperpigmentation. The treatment is typically quite fast and involves very little downtime so that you can resume your normal activities right away in most cases. A chemical peel procedure is a medical-grade treatment that can help enhance the appearance of your skin due to aging, scars, or sun exposure. Although an individual chemical peel’s ingredients may vary, they all work in the same basic way. A chemical solution is applied to your skin by our cosmetic dermatologist to remove varying portions of the outer skin layer to promote the formation of new skin that displays fewer imperfections. Microneedling is another type of skin rejuvenation treatment our cosmetic dermatologist can perform that involves the controlled injury of outer skin layers. The treatment can be used to minimize the appearance of scars, wrinkles, and rough skin texture. A microneedling procedure begins with the application of a topical numbing solution to enhance your comfort during your treatment. After that, we move the microneedling device over your skin repeatedly. This forms hundreds of tiny, virtually invisible punctures in your skin to trigger a skin rejuvenation process. In addition to making a fine treatment in its own right, microneedling can be used in conjunction with the application of topical skin care ingredients to increase their penetration. The outer skin layer normally possesses a barrier that allows only tiny molecules to pass through. Microneedling forms channels that increase skin penetration and effectiveness. Sculptra is a skin care innovation that involves the injection of a substance called polylactic acid. This synthetic substance is somewhat similar to that found in your body when your muscles are exercised vigorously. Once injected, this polylactic acid is gradually replaced by your own body’s collagen. Since collagen is associated with youthful skin, an increase leads to skin that displays fewer lines, wrinkles, scars, and blemishes. The Sculptra treatment involves a series of injections given over the course of a few weeks. In between treatments, you will need to massage the treatment area to ensure that the product is distributed evenly and does not form lumps. To learn about these services and everything else our cosmetic dermatologist can do for you in San Diego, contact Torrey Pines Dermatology to schedule an appointment! Thinking about saying goodbye to your razor may sound like something that will potentially ruin your social life. If you do not have the ability to shave away unwanted hair, you are likely going to feel embarrassed. You will constantly cover areas of your body where you have that unwanted hair growth. At Torrey Pines Dermatology, we would like to tell you how you can say goodbye to your razor, as well as all of the unwanted hair you have on your body. Call us today to find out how we can help you. Laser hair removal is a treatment that is designed to disable hair follicles in areas that receive this laser treatment. When the hair follicles are disabled, no new hair growth is possible. If you go through some kind of hormonal change in the future, like weight gain or a pregnancy, you may have some regrowth in some areas of your body. However, besides major hormonal changes that you could experience in your life, you are not likely to ever see hair growth in areas where laser hair removal treatments were done. For many of our clients, any hair growth that they do experience in the future is usually different. For example, hair that was once coarse, long, and dark will grow back much thinner and lighter. This is great because it will not be quite as noticeable as the hair was in the past. The hair on your body goes through different growing cycles. At any one time, only about 25 percent or fewer of your hairs are going through an active growing phase. In order to get the best results, we need to use a laser on hairs that are going through an active growing phase. So this means that you will have to come back to our office at least four or five times in order to have the hair in a particular area treated. This will give us the opportunity to treat as many active hairs as possible. This will give you the longest lasting and best results. Shaving with a razor definitely has its benefits. It allows you to remove embarrassing hair. However, it usually does not produce satisfying results. This is especially true if you have sensitive skin since you are used to dealing with things like razor rash, ingrown hairs, and other sensitivities. You can say goodbye to your razor with laser hair removal. Contact us at Torrey Pines Dermatology, proudly serving the San Diego community with an office located in La Jolla, to find out more about laser hair removal. Many of our clients in the San Diego area ask us about alternative means to enhance their appearance without the need for surgery. Quite often, the skin is sagging or showing creases, but the problem isn’t fat cell accumulation. Rather, the problem is poor skin support and a decrease in the amount of collagen produced in and beneath the skin layers. Sound energy, when properly focused, is absorbed by dense tissue. The energy is changed to heat and motion energy. This acts as a signaling mechanism for the body to rejuvenate the affected tissues. This is the idea behind Ultherapy®. The same type of sound energy used in ultrasound imaging is used to tighten and smooth the skin. How Can Sound Energy Help? Ultherapy® uses specialized technology to produce highly-focused sound energy. The device used is a handheld instrument that is pressed directly onto the skin surface. When the device is properly calibrated and pulsed, the energy is absorbed by the lower dermal layers and the foundational tissues that lie beneath. This stimulates the production of collagen because the existing collagen is compressed and actually shrinks. Mature adults experiencing skin sagging and folding on certain areas of the face may be ideal candidates for Ultherapy®. It’s important to understand, however, that Ultherapy® is not a fat removal procedure. During the consultation, we will examine the areas of concern and offer realistic outcome predictions. This simple, non-surgical treatment is performed in the comfort of our office. Immediately after the treatment, some visual improvement in skin texture may be apparent, but the real magic happens over the following months. The increase in collagen production soon results in smoother skin that is far suppler overall. Sags all but disappear, and the overall tone is better. In many cases, a single treatment session is all that is necessary for the rejuvenation process to be successful. Since this procedure doesn’t involve surgery, abrasive skin resurfacing, or chemicals, it’s suitable for all skin tones and skin textures. The results can last for months or longer, after which the procedure can be safely repeated. This is a very simple cosmetic procedure that promotes natural healing and rejuvenation, as well as skin tightening. You can learn more about how it works by scheduling a consultation at Torrey Pines Dermatology in La Jolla. Contact us today to book your appointment!